ClaroRead Chrome Extension v9 introduces policies for Site Licence customers to control ClaroRead Chrome Extension settings across their domain. 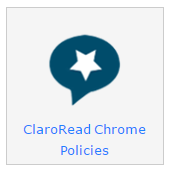 When you sign in to ClaroRead Cloud with your site licence account you will see a link to “ClaroRead Chrome Policies”. This page allows you to set the default settings of ClaroRead Chrome extension for your end users. These settings will take effect the first time an end-user signs in to a Chrome device or Chrome browser running ClaroRead Chrome using an account on your domain. After first-run all end-user settings are stored on their individual accounts so default site settings will no longer affect these users. ClaroRead Chrome Policies also gives you the option to “Lock” settings. This will allow you to choose the desired setting for all users on your domain and the end-user will not be able to change it. 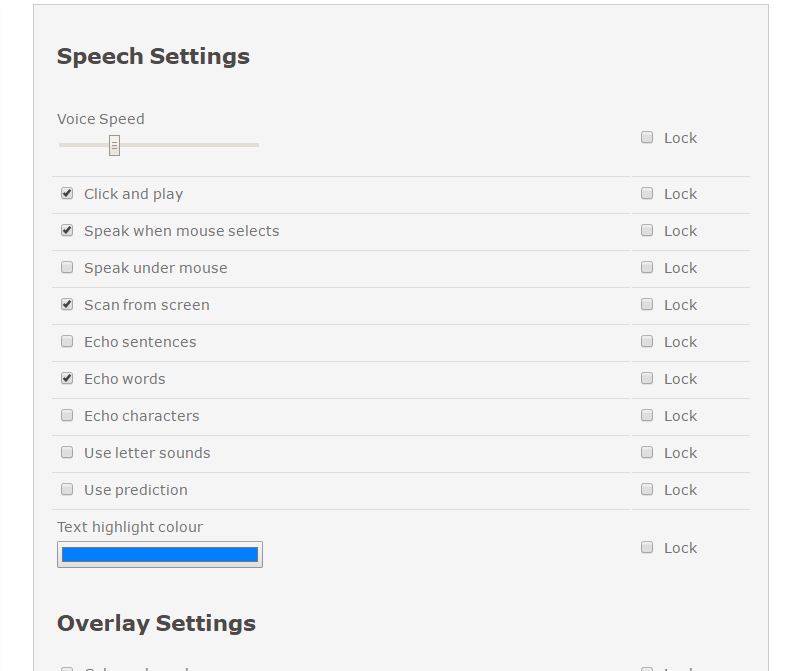 For example if you wanted to ensure the “Click and Play” toolbar could never be turned off by the end-user then you would make sure “Click and Play” was checked and also the corresponding “Lock” was checked. *Please note there is a 5-minute local cache on settings so it may take up to 5 minutes for changes to update in the end-users settings.